Radiant Life was launched in 1944, by two families who moved from Coldwater to Sturgis, who had a vision for a Wesleyan Methodist Church to be formed in the community of Sturgis. The first services were held in February 1945, in a store building, under the name Sturgis Wesleyan Methodist Church and had twenty-four people in attendance. In 1950, as the church continued to grow and reach more people, the church stepped out in faith and purchased a larger lot on the corner of N. Nottawa and McKee St for a new church building. The church also experienced a name change to Sturgis Wesleyan Church. Growth continued steadily. In the mid 1980s, plans were created to relocate the church to a piece of property purchased on N. Nottawa. On January 1989, the first services were held in the new church building.  In 2016, Sturgis Wesleyan Church once again went through a name change and changed its name to Radiant Life Church. The church continues to grow, see people take their next step in baptism and proclaim their faith in Jesus!